So, Spring has sprung and summer is on it's way. This gets me excited because this is the time of year when some restaurants begin to bring out their summer menus or make some seasonal items available. One of those restaurants happens to be RA Sushi. 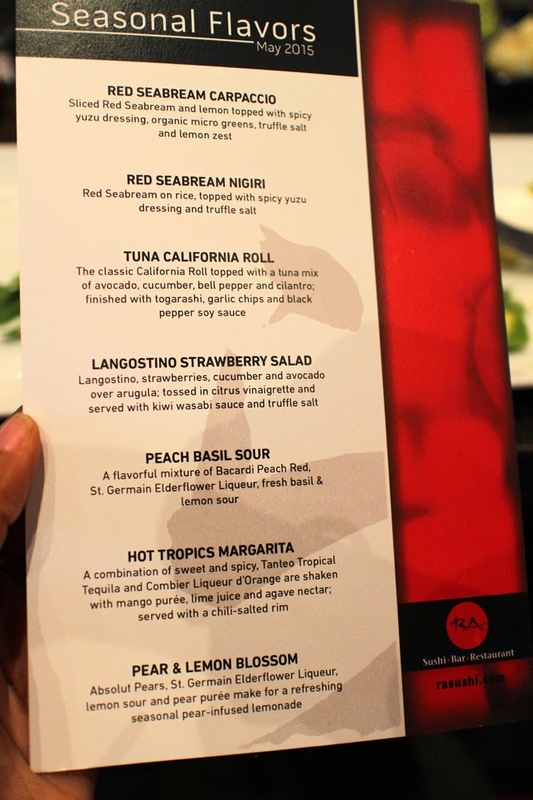 I had the pleasure of tasting some of the items off of their seasonal menu with my homie, Lashonda of FashionPlateKC, and really enjoyed everything on the menu. 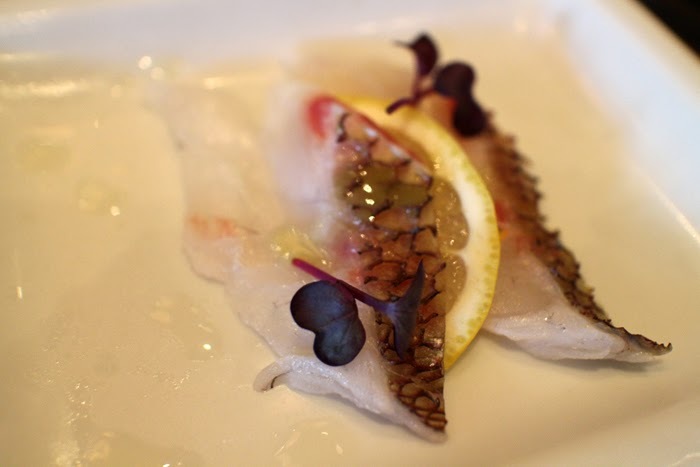 I have to say, that I'd never had the fish, Seabream, before. It was delicious. It's a nice, mild and meaty, white fish. I also tried a couple of the cocktails, and I have to say, the Peach Basil Sour was my fave!! 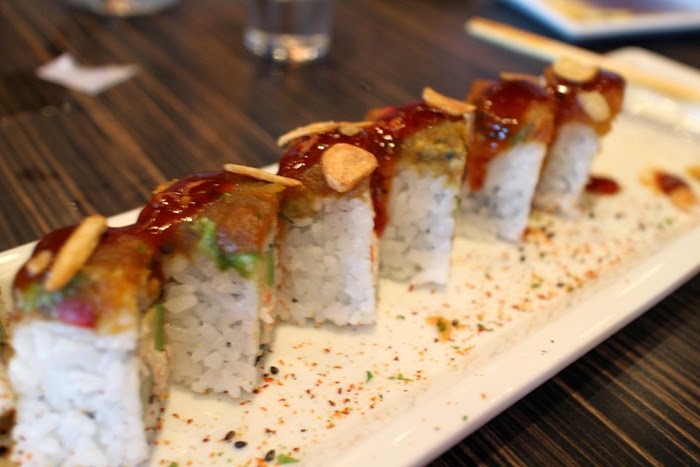 If you're ever in the Town Center area here in KC, be sure to stop by RA Sushi and give the seasonal menu a try! Great food and always a cool atmosphere. 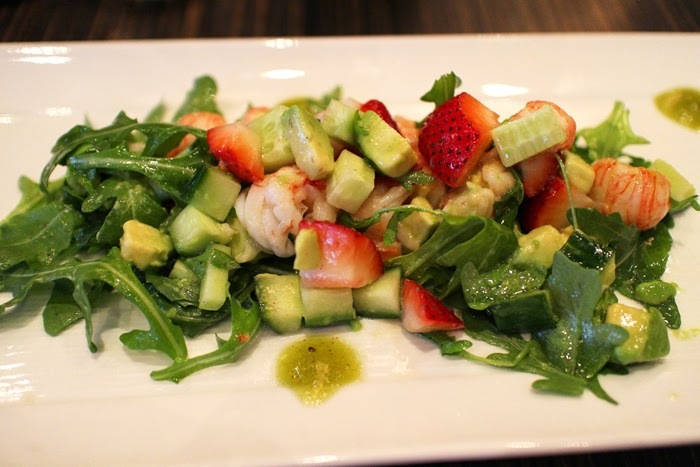 I love RA Sushi and that strawberry salad looks delicious! I usually get the Viva Las Vegas rolls. 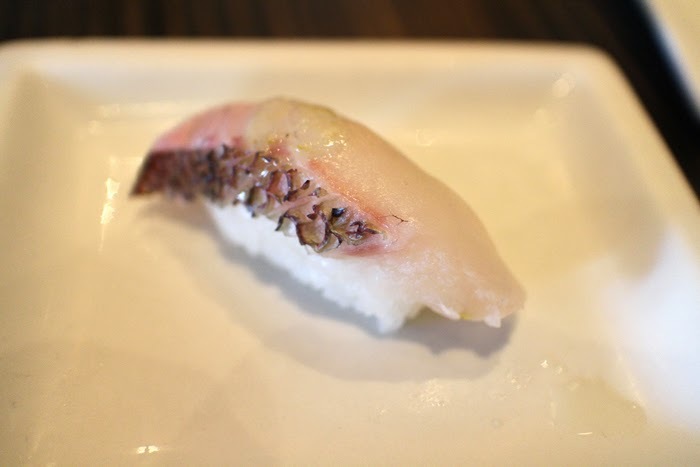 I'm sooo craving sushi now.